PHOENIX – With nearly 15 years of combined teaching and administrative experience, Phoenix Central School District’s new Director of Curriculum Stacie Shaffer is bringing innovative ideas to the table this year. 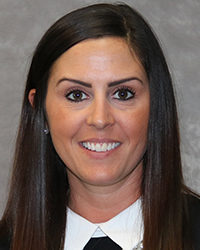 Shaffer, who most recently served as the assistant principal at Michael A. Maroun Elementary, said that in her first year she is focused on creating strong professional relationships while developing a resourceful platform to house district curriculum. Shaffer said students are the number one priority when exploring curriculum strategies. For Shaffer, the team approach to education and sense of community are two of the biggest benefits to being part of the greater Firebird family. “Everyone here operates as a team to accomplish what is needed for students,” Shaffer said.